Proper illumination while being out on the water with your boat is very important, both for finding your way around the boat as well as for ensuring you’re seen by bigger boats. Lately, LED lights have become increasingly more popular among anglers who fish during nighttime, and for all the right reasons. Whether it’s cabin lights, tail lights or underwater lights, LED lights are the superior lighting solution, not just because of their strong output, but also because of their efficiency and low heat output. LED boat lights come in a wide range of colour combinations and trim ring profiles. 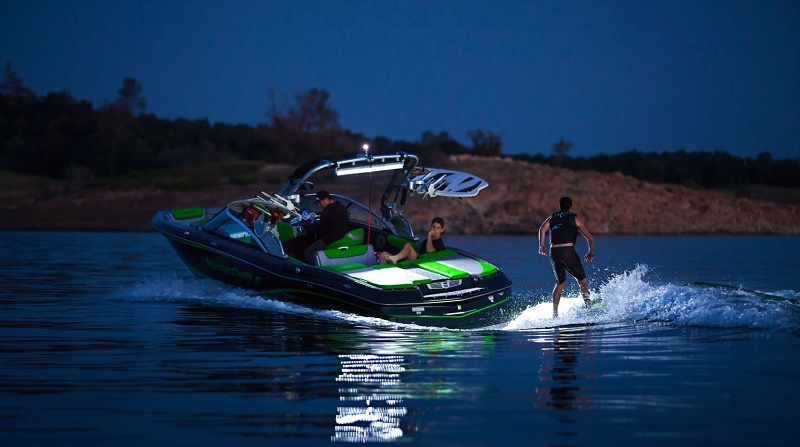 Modern boats are built using LED as standard equipment, while those who own older boats are slowly replacing old halogen and incandescent fixtures with LED fixtures. A couple of years ago, people didn’t want to spend the extra money on LED, but now that their advantages are so widely recognized, many have started accepting them as the superior option. LED lights have a general lifespan of about 50.000 hours or about 4.5 years of continuous output. This decreases the need to replace and maintain the bulbs, thus reduces the amount of maintenance and servicing of your boat. Furthermore, LED lights reduce power consumption as much as 70%. Traditional lighting fixtures, on the other hand, waste about 80% of the energy on useless heat. Moreover, LED lights are capable of withstanding a lot of abuse – they can withstand extreme weather conditions, which can be important if you get caught up in a bad storm. Due to the fact that the lights may come in frequent contact with water, it’s important that they don’t release toxic, dangerous substances if they break or fail. LED lights are fully recyclable, unlike other lighting solutions, and you can reduce your carbon footprint by up to 33% by recycling them after their useful lifespan runs out. Furthermore, there are LED lighting fixtures that have corrosion resistant properties, are explosion proof and have underwater ratings. 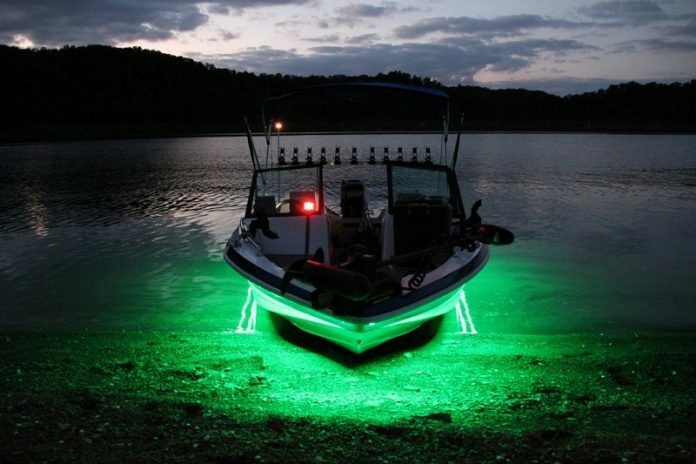 Simply put, LED boat lights are the best solution for boat illumination, whether it’s for fishing, getting around the boat, signaling or just making your presence known. The attributes of LED lights make them ideal for the purpose, as they’re durable, can shine very brightly, have a long lifespan and require low maintenance. So yes, now that you are familiar with all the benefits they offer, do not hesitate to freshen up the look of your ride and switch your old lights for LED ones.